What's on in the Yarra Valley in October - Australian Wine Tour Co.
As we gear up for the busy spring events season, the Yarra Valley is the place to be. We’ve complied a list of some of the best things to do in the region in October. 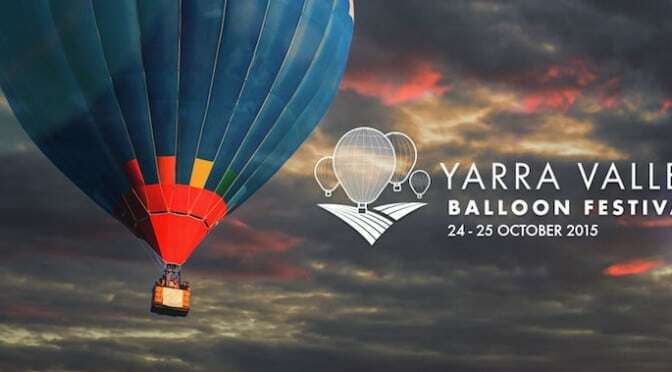 The inaugural Yarra Valley Balloon Festival will take off from the Yarra Valley Racecourse on Saturday 24 and Sunday 25 October 2015, ending the day of one of the Yarra Valley’s premier social events, the Yarra Valley Cox Plate Race Day. There’ll be 12 balloons lighting up the sky, along with fireworks and public hot air balloons. Do not miss the Cuban Jazz Festival, held at Rochford Winery in the Yarra Valley. The Cuban Jazz offers three vineyard entertainment arenas. On the Main Stage experience a live Cuban band, Carlito’s Way, salsa dance lessons and live dance performances. The Vineyard Courtyard will be filled with a live jazz band, cigars, wine, cake and fudge. 24 October 2015 at Rochford Wineries. Wings and Wheels Lilydale is set to be an exciting weekend for the entire family. This year will host a diverse range of displays and activities including multi car club show and shine, air show, aerobatics and Bathurst 1000 live site. On from 10-11 October. Oakridge Wines and Creative Universe proudly present “La Dolce Vita” & “An Enchanted Spring Evening”. Two very special events featuring sensational Australian group, Pot-Pourri. Oakridge Wines is presenting a magical night of opera with one of Australia’s leading acts, Pot-Pourri. Head Chef Matt Stone will showcase a traditional Italian menu for La Dolce Vita and An Enchanted Spring Evening will celebrate the fresh flavours of spring found in the Yarra Valley regional food bowl, matched with Oakridge award winning wines including its Italian varietals. Plus, we run tours to the Yarra Valley daily from Melbourne, so why not just jump on board and let us be your tour guide for a great day out!